I found a couple of photos from Disney on Ice Celebrations, the latest Disney On Ice show featuring the Princesses including Tiana. Lucky for us they kept a spot open for Jasmine, the last ‘real’ princess. 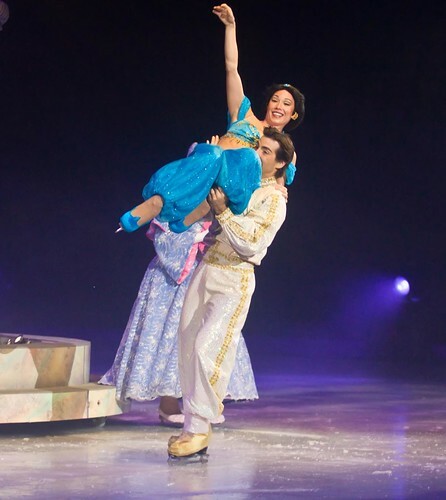 I myself am planning to see Al and Jassy on ice in February 2010 when I see them in action in Princess Wishes. This entry was posted in General and tagged aladdin, disney on ice, jasmine, princess and the frog, tiana by merkal. Bookmark the permalink.